Wrong! I mean, it’s still Monday, but there’s nothing to “boo” about because there’s a new release out from Moving Box, and boy do you wanna watch it! 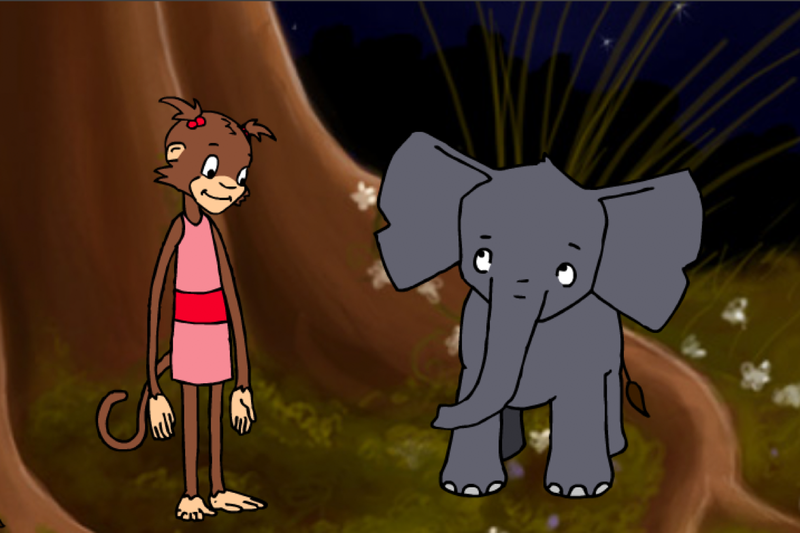 The Making of “The Elephant’s Lullaby”! This featurette includes commentary from the team behind the animated video. With interesting and insightful words from Nutmeg Doherty (Executive Producer), Chris Davidson (Producer/Director), Wright Rickman (Production Designer/Lead Animator), Liz McLelland (Art Director), and Tom Knight (the Singer/Songwriter himself! ), you’ll probably want to go back and watch the original animation with all of your newly-acquired appreciation. In other news, Ithaca Tape to Disc is up and running. Check it out if you need your old video tapes converted to high-quality digital video. 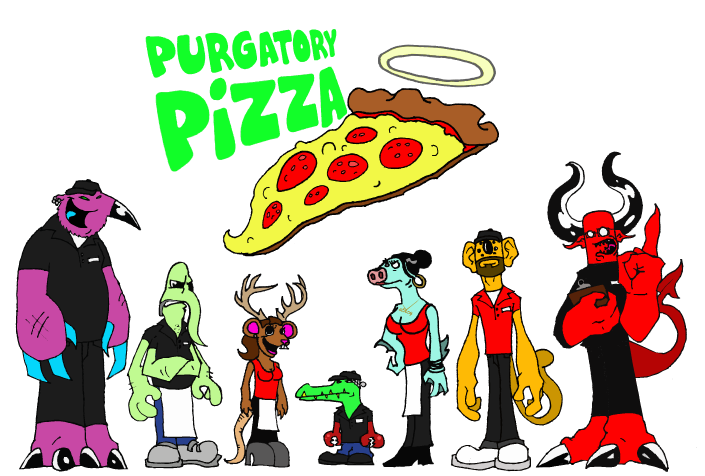 Purgatory Pizza is in heavy production this week. Check back here soon for further details! Winter has brought us festivities, happiness, camaraderie, and snow. Clearly this is a big change for Matt Lenz and Joe Zohar after returning from the tropical paradise of Costa Rica. Matt and Joe have been gone for just over a week filming the pilot episode of Eco-Spots, a Co-Production of Moving Box Studios and GA.GA Productions. This show about environmental awareness; it includes shots of breath-taking deserted beaches of the Pacific Ocean, completely self-sustaining eco-lodges, national marine parks, and the mountains of Costa Rica. 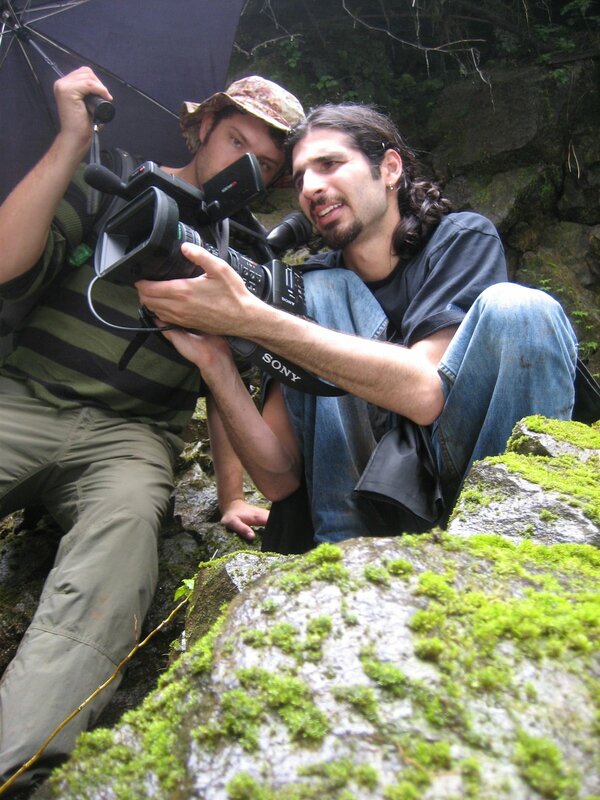 After a week of filming, the team walked away with great footage and production stills. The pilot episode is scheduled for completion this week and it will air in March in LifeStyle TV. Joe has recently started using Photoshop’s animation timeline sequence for Chalk Outlines. It has allowed the artists to work more effective with each other. Nicoli Schwiep and Liz McLelland have just breached the halfway point with rotoscoping for the film. It’s looking as if a first fine cut will be complete for December 15th, and will be followed by a first trailer. Liz will produce promotional material using graphic design. Nicoli’s Robobots is coming to fruition. He is currently putting the final touches on the first draft script of the origin story of the gigantic killer Robobots. The character designs are also on lock and some images will be posted on the blog soon. The Java promo is also almost completely done, but a release date has not yet been set. The principal photography of Tom Knight’s Elephants Lullaby is complete. All that’s remaining in production is the shading of the characters, which will be finished soon by Liz. Olympus Burger HD is more than halfway converted, with 8 of the 15 scenes in HD. According to Joe and Chris, the fight scene is almost completely converted to HD and is looking awesome. Looking towards the future, Days of Our Lamps 2 is going back into production THIS WEEK and is looking at a tentative release date of early 2009. Hey everyone, September is here! Most people associate September with the start of school, the start of fall, the start of a new year. Well, along with all that, Moving Box Studios has a few new projects we’ve been working on. 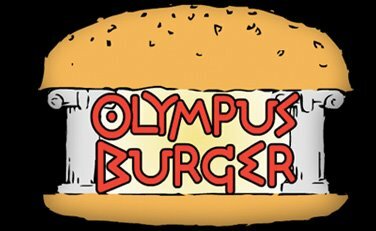 [Olympus Burger] is the flagship project of the Animation department here. The pilot episode has been on the web for over a year now, but if you haven’t seen it yet [Watch it Now]. Everyone has been working hard and the trailer for the new episode is almost complete. The editing is all set and we’re working on sound design and music. Chalk Outlines, the thesis project of Joe Zohar while at Ithaca College, is humming according to Joe. The work is being completed quickly and Joe will be placing some of his screenshots online, asking the viewers what they would like to see. Joe is really driven to get this project complete and release a trailer. We are also planning a Festival Fundraising Party! Word will come soon as to the location and day of this event. Nikolai has created Robobots. He is currently refining character designs and working on a backstory in order to put together a really solid foundation. We have a writers meeting set for this week to discuss script ideas. M.9., a short experimental film directed by Joe Zohar, is almost complete. Sound production is scheduled to begin this coming Monday, September 15th. [Java], an animated pilot produced by Chris Davidson, has voiceovers scheduled for later this month. All art and animation blocking is complete. It is projected to be released in October. [Purgatory Pizza], created by [MC Deathbear], is coming along splendidly. The pilot episode is projected to be complete in September-October and a trailer can be seen at the website. We here at Moving Box Studios have our work cut out for us, with seven projects currently in production. However, things are moving faster than ever with the renovations nearly complete. A studio warming party is also planned, but no dates available.